The opening of the third Republ1c store last July 15, 2009 at Eastwood Mall in Libis, Quezon City was met with much excitement and energy. Revealed inside were three floors of shirts, shoes and accessories any skater, sneaker head, and street culturatis are sure to get all hyped about. Republ1c expresses its love for the skurban fashion and lifestyle, carrying brands that sprung from the bustling streets of Los Angeles and New York. 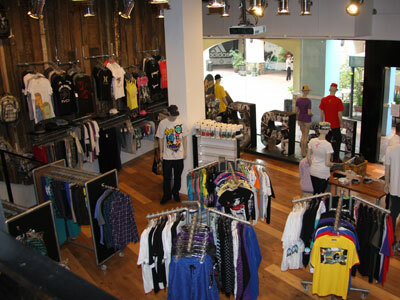 Fresh edgy brands such as KR3W, Supra, T.I.T.S., Altamont, RVCA, Hurley, NEFF and C1RCA are all up for the taking. Offering not just apparel and shoes, Republ1c is a one-stop shop for all the skaters out there as the store carries everything from skateboard wheels to grip tape, helmets, and the boards themselves. If you’re the type who prefers to slice through waves, brands like Ronix and Liquid Force should help you prepare until you get to whet your wakeboarding appetite at your favorite water sports park. Music fans that love to personalize will also get their fill with dozens of unique Skullcandy and WeSC headphones to choose from. Definitely, if it’s the skurban lifestyle you’re after, it’s the skurban lifestyle you get at Republ1c.